The TSW texas speedwerks rotors made by Fremax now have the rotors to fit your R55, R56, R57 Cooper and Cooper S. These are made from high carbon steel, and slotted to improve braking. 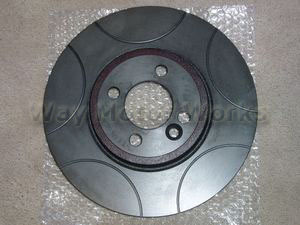 They are a direct replacement for the OEM MINI rotors. NOT for JCW brakes. Select your model MINI below to ensure you get the right size rotors.